Many men with balding or thinning hairlines have done research on different restorative treatments, like follicular unit extraction (FUE), but do not fully understand which one will be most advantageous for their unique situation and hair restoration goals. At True and Dorin, our doctors specialize in helping our patients understand every aspect of their treatment. During a consultation, we will carefully explain the advantages and disadvantages of FUE to you at our New York practice. If you have questions about the different methods of treatment and would like to learn more about which one is right for you, please contact our office to schedule a consultation with one of our doctors. The FUE process consists of extracting follicular units directly from the donor area (usually on the back of the head, although other areas may be used), without the need to excise a strip of scalp. Once the follicular units have been removed, they will be prepared to be transplanted into the treatment area, typically at the front of the scalp to create the new hairline. Compared to follicular unit transplantation (FUT), FUE can be more expensive because it is more time and labor intensive. 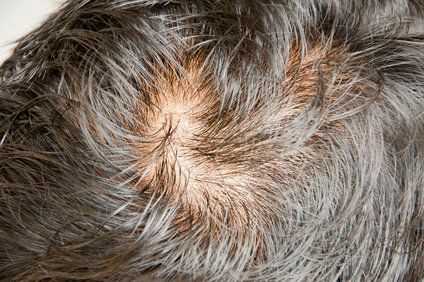 Rather than removing the follicular units from the strip of scalp that has been excised, they are removed individually from the donor area. This means that the surgery itself is less invasive, but is a more precise and meticulous procedure, which often results in a higher cost to the patient. Because a fewer number of follicular units can be harvested in the same amount of time it takes to complete a FUT session, FUE treatment can also require multiple sessions to achieve desirable results. This can lead to a longer total recovery time for more extensive treatment. In addition, when follicular units are extracted directly from the scalp, it can produce hair grafts that are less viable than those taken from a strip of excised scalp. When the follicular units are harvested from a strip, there is sufficient tissue surrounding the grafts, protecting them from damage. When the hair grafts are taken directly from the scalp, they can become damaged which would render them unsuitable for transplantation. The hair restoration specialists at True and Dorin routinely take measures to minimize the risk that these disadvantages could have on our patients' treatment. Our doctors have developed proven techniques to eliminate transection and damage to follicular units during the removal process. This allows for more hair grafts to be transplanted during each session, lessening the total number of treatment sessions needed. We also can perform mega sessions, where our doctors will transplant a large number of hairs during a time intensive procedure. We can help you understand all the benefits and risks of various restoration techniques, and determine which treatment will be most appropriate for your hair restoration goals. Please contact our office to make an appointment with one of our doctors today.